Does this band have an identity crisis? 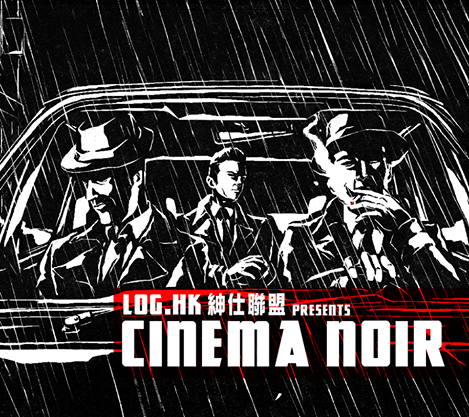 The same group of guys who released the highly lauded Introducing… the League of Gentlemen just over a year ago – an album that restored one’s faith in Hong Kong bands’ ability to rock – have returned with a new musical offering, albeit under different names. The CD cover states League of Gentlemen, but load it up on iTunes and it’s LOG.HK. A bit confusing. Rest assured, it is the same band. One can easily tell by the quality of the songwriting and musicianship. This outstanding attribute of the first album has thankfully been upheld on Cinema Noire, and the band have dug even deeper into their trove of influences to augment their sonic palette. They have embellished their trademark neo-retro vibe of rock, funk and R&B with shavings of punk and new wave. Although the band comes out swinging on the opening track, the punk infused pop of Late Night Streetcar Line, the album will not be an instant classic to those hooked on the instant gratification of the debut. Cinema Noire deserves, even demands, more digestion time for full appreciation. This is highlighted best when the vibe plummets from the amped-up opening track into second song Eileen, a brooding mid-tempo ode reflecting its film noire influences. A risky move that sparks an incredulous “WTF?” on first listen, but starts making sense after more plays of the album. But fear not, the rock returns with third song Getaway Car with its cascading riff that sounds like it was plundered from Robert Smith’s catalogue of leftovers, and its subsequent track the aptly-titled Rock the Shack. After some more mood swings with the eclectic Wild Hearts and Baby Run, we are hit with the album’s penultimate and standout track Unconditional Love, a ballsy riff and vocal read from the textbooks of 70s-rock sages like John Mellencamp and Tom Petty, dolled up in a new-wave vibe Deborah Harry would relish. Add all of this to the poignant vocal cameos from The Bollands and Timmy Gunn, a slick mix by renowned Canadian sound engineer Steve Major, and some sublime cover art, and we have a cogent follow-up to Introducing… that’s musically gumptious without being haughty.